Patrícia da Graça Leite Speridião ; Koh, I.H.J. ; AMANCIO, O. M. S. ; Tania Beninga de Morais ; Francy Reis da Silva Patrício ; Mauro Batista de Morais. Zinc Supplementation on Nutritional Status in Rats With Cholestatic Cirrhosis. Journal of Gastroenterology and Hepatology Research. v. Journal of Gastroenterology and Hepatology Research, p. 409, 2013. Yamamura, A ; MARGARIDO, C ; DÍAZ, J. L. M. ; SOTELO, F ; KOH, T. H. ; SILVA, E. ; LIBERATORE, A. M. A. ; SOUBHIE,A ; SEGURADO, A ; KOH, I. H. J. ou Ivan HJK ou Koh IHJ. Mono-bacterial concentration-based sepsis model (MCS) with hyper and hypo hemodynamic stages which allows a window for therapeutic assays in pigs.. Critical Care (London. Online). v. Critical Care (London. Online), p. 70-71, 2008. LIBERATORE, A. M. A. ; DÍAZ, J. L. M. ; TAKI, M. ; SOUZA, R ; SILVA, R. M. ; MORAIS, M. B. ; KOH, I. H. J. ou Ivan HJK ou Koh IHJ. The relationship between sepsis intensity, Gram-negative bacterial overgrowth and bacterial tnaslocation in rats.. Critical Care (London. Online). v. Critical Care (London. Online), p. 53, 2008. KOH, I. H. J. ou Ivan HJK ou Koh IHJ; JL Menchaca-Diaz ; LIBERATORE, A. M. A. ; TAKI, M. Y. ; FAGUNDES-NETO.U, ; FRANCISCO JUNIOR, J.. Which is the Worst factor in the sepsis aggravation: Translocated bacterial amount or the gut associated lymphoid tissue activation?. Critical Care (London). v. Critical Care (London), p. p2, 2007. LIBERATORE, A. M. A. ; JL Menchaca-Diaz ; RM SILVA ; TAKI, M. Y. ; FRANCISCO JUNIOR, J. ; KOH, T. H. ; MB MORAIS ; KOH, I. H. J. ou Ivan HJK ou Koh IHJ. Sepsis provokes host´s microbiota overgrowth of commensal gram negative bacteria and subsequent induction of bacterial translocation in rats.. Critical Care (London). v. Critical Care (London), p. p23, 2007. VILELA-OLIVEIRA, L. ; JL Menchaca-Diaz ; LIBERATORE, A. M. A. ; R SALOMAO ; TAKI, M. Y. ; FAGUNDES-NETO.U, ; KOH, I. H. J. ou Ivan HJK ou Koh IHJ. Kinetic Study Of Local And Systemic Perfusion Index Following One Episode Of Bacterial Translocation.. Critical Care (London). v. Critical Care (London), p. p25, 2007. LIBERATORE, A. M. A. ; JL Menchaca-Diaz ; R SALOMAO ; TAKI, M. Y. ; VILELA-OLIVEIRA, L. ; FRANCISCO JUNIOR, J. ; FAGUNDES-NETO.U, ; Morais M.B. ; KOH, I. H. J. ou Ivan HJK ou Koh IHJ. Influence Of Bacterial Translocation In The Genesis Of The Microcirculation-Hypoperfusion In Sepsis.. Critical Care (London). v. Critical Care (London), p. p24, 2007. KOH, I. H. J. ou Ivan HJK ou Koh IHJ; LIBERATORE, A. M. A. ; Diaz, J.L.M. ; M Ruiz-SILVA ; L. Vilela ; WATANABE, A. Y. ; R SALOMAO ; FAGUNDES-NETO.U, ; RM SILVA. Bacterial Translocation, Microcirculation Injury and Sepsis. Endocrine, Metabolic and Immune Disorders. Drug Targets. v. Endocrine, Metabolic and Immune Disorders. Drug Targets, p. 7-16, 2006. I.S. Oliveira-Junior ; M.K.C. Bruniealti ; KOH, I. H. J. ou Ivan HJK ou Koh IHJ ; V.B.C. Junqueira ; R SALOMAO. Effect of pentoxifylline on lung inflammation and gas exchange in a sepsis-induced acute lung injury model. Brazilian Journal of Medical and Biological Research. v. Brazilian Journal of Medical and Biological Research, p. 1455-1463, 2006. MINAMI, E. ; KOH, I. H. J. ou Ivan HJK ou Koh IHJ ; Ferreira, J.C.R ; FIGUEIREDO, L. F. P.. The Composition and Behavior of Capsules around Smooth and Textured Breast Implants in Pigs.. Plastic and Reconstructive Surgery. v. Plastic and Reconstructive Surgery, p. 874-884, 2006. ALVES.E, ; Diaz, J.L.M. ; RM SILVA ; VILELA-OLIVEIRA, L. ; LIBERATORE, A. M. A. ; TOMA, R. K. ; WATANABE, A. Y. ; BUCHELE, G. L. ; FAGUNDES-NETO.U, ; MB MORAIS ; KOH, I. H. J. ou Ivan HJK ou Koh IHJ. The gut mesenteric lymph during bacterial translocation carries factor(s) related to mortality in sepse.. Critical Care (London). v. Critical Care (London), p. 20, 2005. WATANABE, A. Y. ; RM SILVA ; LIBERATORE, A. M. A. ; Diaz, J.L.M. ; TOMA, R. K. ; BUCHELE, G. L. ; VILELA-OLIVEIRA, L. ; MB MORAIS ; FAGUNDES-NETO.U, ; KOH, I. H. J. ou Ivan HJK ou Koh IHJ. Previous bacterial translocation challenge enhances peripheral blood bacterial clearance in the subsequent sepse. Critical Care (London). v. Critical Care (London), p. 20, 2005. VILELA-OLIVEIRA, L. ; RM SILVA ; Diaz, J.L.M. ; TOMA, R. K. ; BUCHELE, G. L. ; LIBERATORE, A. M. A. ; WATANABE, A. Y. ; FIGUEIREDO, L. F. P. ; FAGUNDES-NETO.U, ; KOH, I. H. J. ou Ivan HJK ou Koh IHJ. The exclusion of the mesenteric lymph during a bacterial translocation process substantially diminishes the microcirculation injuries. Critical Care (London). v. Critical Care (London), p. 20-21, 2005. KOH, I. H. J. ou Ivan HJK ou Koh IHJ; Diaz, J.L.M. ; BUCHELE, G. L. ; VILELA-OLIVEIRA, L. ; TOMA, R. K. ; LIBERATORE, A. M. A. ; WATANABE, A. Y. ; FIGUEIREDO, L. F. P. ; FAGUNDES-NETO.U, ; RM SILVA. Bacterial translocation aggravates mesenteric microcirculation changes induced by sepsis.. Critical Care (London). v. Critical Care (London), p. 22-23, 2005. TOMA, R. K. ; RM SILVA ; LIBERATORE, A. M. A. ; VILELA-OLIVEIRA, L. ; Diaz, J.L.M. ; BUCHELE, G. L. ; WATANABE, A. Y. ; MB MORAIS ; FAGUNDES-NETO.U, ; KOH, I. H. J. ou Ivan HJK ou Koh IHJ. Acute portal hypertension without liver dysfunction enhances bacterial translocation to the lung. Critical Care (London). v. Critical Care (London), p. 24, 2005. SALZEDAS NETTO, A. A. ; RM SILVA ; MARTINS, J. L. ; JL Menchaca-Diaz ; BUGNI, G. M. ; WATANABE, A. Y. ; SILVA, F. J. P. ; FAGUNDES-NETO.U, ; MB MORAIS ; KOH, I. H. J. ou Ivan HJK ou Koh IHJ. Can bacterial translocation be a beneficial event?. Critical Care (London). v. Critical Care (London), p. 23, 2005. BUCHELE, G. L. ; SILVA, E. ; RM SILVA ; TOMA, R. K. ; LIBERATORE, A. M. A. ; Diaz, J.L.M. ; WATANABE, A. Y. ; FAGUNDES-NETO.U, ; FIGUEIREDO, L. F. P. ; KOH, I. H. J. ou Ivan HJK ou Koh IHJ. Comparison between intravital microscopy and laser Doppler microcirculation monitoring methods in experimental sepsis: preliminary results. Critical Care (London). v. Critical Care (London), p. 24, 2005. Morais M.B. ; Diaz, J.L.M. ; LIBERATORE, A. M. A. ; Amâncio O.M.S. ; RM SILVA ; FAGUNDES-NETO.U, ; KOH, I. H. J. ou Ivan HJK ou Koh IHJ. Iron-deficiency anemia increases intestinal bacterial translocation in rats. Critical Care (London). v. Critical Care (London), p. 24, 2005. Speridião P.G.L. ; Azevedo R.A. ; KOH, I. H. J. ou Ivan HJK ou Koh IHJ ; Morais T.B. ; Amâncio O.M.S. ; Patrício F.R.S. ; FAGUNDES-NETO.U, ; MB MORAIS. Effect of zinc supplementation on liver nutritional status and hepatic content of zinc, copper and iron. Journal of Pediatric Gastroenterology and Nutrition. v. Journal of Pediatric Gastroenterology and Nutrition, p. 8, 2004. SALZEDAS-NETTO, A.A. ; SILVA, R. M. ; MENCHACA-DIAZ, J. L. ; BUGNI, G. M. ; WATANABE, A. Y. ; SILVA, F. J. P. ; FAGUNDES-NETO, U. ; KOH, I. H. J. ou Ivan HJK ou Koh IHJ. CAN BACTERIAL TRANSLOCATION BE A BENEFICIAL EVENT?. Transplantation Proceedings. v. Transplantation Proceedings, 2004. KOH, I. H. J. ou Ivan HJK ou Koh IHJ; MENCHACA-DIAZ, J. L. ; FIGUEIREDO, L. F. P. ; MORAIS, M. B. ; WATANABE, A. Y. ; FAGUNDES-NETO, U. ; SILVA, R. M.. Microcirculation Injury During Bacterial Translocation is Due to the Gut associated Lymphoid Tissue (GALT) Induced Factor(s) in the Mesenteric Lymph. Transplantation Proceedings. v. Transplantation Proceedings, 2004. Antonia B.R. Vieira ; KOH, I. H. J. ou Ivan HJK ou Koh IHJ ; B.E.C.Guth. Providencia alcaliforme strains translocate from the gastrointestinal tract and are resistant to lytic activity of serum complement. Journal of Medical Microbiology. v. Journal of Medical Microbiology, p. 633-636, 2003. JL Menchaca-Diaz ; RM SILVA ; Gabriela M. Bugni ; F.J.P.Silva ; M Ruiz-SILVA ; WATANABE, A. Y. ; LFP Figueiredo ; KOH, I. H. J. ou Ivan HJK ou Koh IHJ. Bacterial translocation consequential to intestinal bacterial overgrowth provokes aggravation of mortality by sepsis. Critical Care. v. Critical Care (3) , p. 28, 2003. KOH, I. H. J. ou Ivan HJK ou Koh IHJ; JL Menchaca-Diaz ; Gabriela M. Bugni ; WATANABE, A. Y. ; F.J.P.Silva ; M Ruiz-SILVA ; LFP Figueiredo ; RM SILVA. The role of the mesenteric lymph on microcirculation injury during bacterial translocation. Critical Care. v. Critical Care (3) , p. 29, 2003. KOH, I. H. J. ou Ivan HJK ou Koh IHJ; JL Menchaca-Diaz ; BUGNI, G. M. ; WATANABE, A. Y. ; SILVA, F. J. P. ; M Ruiz-SILVA ; FIGUEIREDO, L. F. P. ; RM SILVA. . The role of the mesenteric lymph on microcirculation injury during bacterial translocation. Critical Care (London). v. Critical Care (London), p. 29, 2003. SCHRAIBMAN.V, ; FAINTUCH.S, ; BUZZUTTI.F, ; Tajiki MH ; R SALOMAO ; FAGUNDES-NETO.U, ; MORAES.M, ; KOH, I. H. J. ou Ivan HJK ou Koh IHJ. Tetracycline prophylaxis abrogates mortality following induction of inferior vena cava sepsis. Transplantation proceedings. v. Transplantation proceedings (3) , p. 1009-1010, 2002. Diaz, J.L.M. ; SILVA.R, ; AFRS SIQUEIRA ; M Ruiz-SILVA ; BUZZUTTI.F, ; SILIANO.R, ; FAGUNDES-NETO.U, ; MORAES.M, ; KOH, I. H. J. ou Ivan HJK ou Koh IHJ. Changes in bacterial translocation profile induced by sepsis. Transplantation proceedings. v. Transplantation proceedings (3) , p. 1007-1008, 2002. FAINTUCH.S, ; SCHRAIBMAN.V, ; SILVA.R, ; BUZZUTTI.F, ; Tajiki MH ; R SALOMAO ; FAGUNDES-NETO.U, ; MORAES.M, ; KOH, I. H. J. ou Ivan HJK ou Koh IHJ. Beneficial effect of tetracyclin prophylaxis in a sepsis model mimicking portal and systemic bacterial translocation. Transplantation proceedings. v. Transplantation proceedings (3) , p. 1005-1006, 2002. KOH, I. H. J. ou Ivan HJK ou Koh IHJ; Diaz, J.L.M. ; SHP FARSKY ; M Ruiz-SILVA ; PUPPI, J. ; FAGUNDES-NETO.U, ; MORAES.M, ; SILVA.R,. Injuries to the mesenteric microcirculation due to bacterial translocation. Transplantation proceedings. v. Transplantation proceedings (3) , p. 1003-1004, 2002. M Ruiz-SILVA ; SILVA.R, ; Diaz, J.L.M. ; BUZZUTTI.F, ; SILIANO.R, ; Tajiki MH ; R SALOMAO ; FAGUNDES-NETO.U, ; MORAES.M, ; KOH, I. H. J. ou Ivan HJK ou Koh IHJ. Substantial changes in the intestine-derived lymph during bacterial translocation. Transplantation proceedings. v. Transplantation proceedings (3) , p. 1001-1002, 2002. SILVA.R, ; BUZZUTTI.F, ; SILIANO.R, ; Diaz, J.L.M. ; AFRS SIQUEIRA ; KOH, I. H. J. ou Ivan HJK ou Koh IHJ. Bacterial translocation is dependent on bacterial plasmid-borne genetic determinants. Transplantation proceedings. v. Transplantation proceedings (3) , p. 999-1000, 2002. BELTRAO-BRAGA, P. C. B. ; KOH, I. H. J. ou Ivan HJK ou Koh IHJ ; Paulo S. Gutierrez ; Sang W. Han. Vascular adventitia is a suitable compartment to transplant transduced vascular smooth muscle cells for ex vivo gene expression. Cell Tranplantation. v. Cell Tranplantation, p. 583-592, 2002. BELTRÃO, P. C. B. ; KOH, I. H. J. ou Ivan HJK ou Koh IHJ ; SILVA, M. R. R. ; GUTIERREZ, P. S. ; HAN, S. W.. Human growth hormone gene expression in vascular smooth muscle cells transduced by retroviral vectors and transplanted into the sub-adventitia compartment of rat aorta.. Cell Transplantation. v. Cell Transplantation (6) , p. 583-592, 2002. Brito M V H ; KOH, I. H. J. ou Ivan HJK ou Koh IHJ ; Lamarão GL ; Damous SHB. Efeito do choque hipovolêmico na anastomose do intestino delgado de ratos. Arquivos de Gastroenterologia. v. Arquivos de Gastroenterologia, p. 116-124, 2001. FAINTUCH.S, ; SCHRAIBMAN.V, ; SILVA.R, ; BUZZUTTI.F, ; FAGUNDES-NETO.U, ; MORAES.M, ; KOH, I. H. J. ou Ivan HJK ou Koh IHJ. Prophilatic effect of tetracyclin in portal bacterial challenge. Transplantation Proceedings. v. Transplantation Proceedings, p. 1320-1321, 2000. IEIRI, R. H. ; KOH, I. H. J. ou Ivan HJK ou Koh IHJ ; NIGRO.A,. Estudo da permeabilidade vascular em ratos submetidos à isquemia-reperfusão do intestino delgado. Acta Cirúrgica Brasileira. v. Acta Cirúrgica Brasileira, p. 42, 2000. KOH, I. H. J. ou Ivan HJK ou Koh IHJ; MONTERO.E, ; FAGUNDES-NETO.U, ; FAINTUCH.S, ; SCHRAIBMAN.V, ; SILVA.R,. Clearance of lethal and non-lethal concentrations of bacteria from systemic circulation. Transplantation Proceedings. v. Transplantation Proceedings (6) , p. 2564-2565, 1998. KOH, I. H. J. ou Ivan HJK ou Koh IHJ; MONTERO.E, ; FAGUNDES-NETO.U, ; FAINTUCH.S, ; SILVA.R,. Increased bacterial clearance with portal bacterial challenge compared to systemic bacterial challenge. Transplantation Proceedings. v. Transplantation Proceedings (6) , p. 2565-2566, 1998. SILVA.R, ; MONTERO.E, ; FAGUNDES-NETO.U, ; KOH, I. H. J. ou Ivan HJK ou Koh IHJ. The role of the small bowel as a barrier for bacterial septic shock. Transplantation Proceedings. v. Transplantation Proceedings (6) , p. 2563-2564, 1998. PEREIMA, J.L.M. ; KOH, I. H. J. ou Ivan HJK ou Koh IHJ ; Broffman, N. ; Egger, N. ; Goldberg, P. ; Quaresma, E.R. ; Araújo, E.R. ; J.Antonio de Souza ; Capella, M.C.R.. Estudo do isômero dextrógiro do ácido lático sérico na isquemia intestinal em ratos. Revista de Cirurgia Infantil-RA. v. Revista de Cirurgia Infantil-RA (4) , p. 187-197, 1998. KOH, I. H. J. ou Ivan HJK ou Koh IHJ; SILVA.R,. Novel in vitro small intestinal graft model for study of bacterial translocation. Transplantation Proceedings. v. Transplantation Proceedings, p. 2667-2668, 1996. KOH, I. H. J. ou Ivan HJK ou Koh IHJ; MONTERO.E, ; KELLER.R, ; SILVA.M, ; GOLDENBERG.S, ; SILVA.R,. Can the portal vein be a conduit for bacterial translocation?. Transplantation Proceedings. v. Transplantation Proceedings, p. 2671, 1996. SILVA.R, ; KELLER.R, ; MONTERO.E, ; SILVA.M, ; GOLDENBERG.S, ; KOH, I. H. J. ou Ivan HJK ou Koh IHJ. Can bacterial translocation to the mesenteric lymph node be correlated with systemic infection?. Transplantation Proceedings. v. Transplantation Proceedings, p. 2673, 1996. KOH, I. H. J. ou Ivan HJK ou Koh IHJ; GUATELLI.R, ; MONTERO.E, ; KELLER.R, ; SILVA.M, ; GOLDENBERG.S, ; SILVA.R,. Where is the site of bacterial translocation-small or large bowel. Transplantation Proceedings. v. Transplantation Proceedings, p. 2661, 1996. SILVA.R, ; KELLER.R, ; MONTERO.E, ; SILVA.M, ; GOLDENBERG.S, ; KOH, I. H. J. ou Ivan HJK ou Koh IHJ. Role of Peyer´s patch in bacterial translocation. Transplantation Proceedings. v. Transplantation Proceedings, p. 2672, 1996. MONTERO.E, ; SILVA.R, ; KELLER.R, ; BAKONYI-NETO.A, ; PESSUTO.J, ; KIM.H, ; GOLDENBERG.S, ; KOH, I. H. J. ou Ivan HJK ou Koh IHJ. Role of cyclosporin A in bacterial translocation. Transplantation Proceedings. v. Transplantation Proceedings, p. 2676, 1996. BAKONYI-NETO.A, ; SEGRETO.H, ; MONTERO.E, ; GOLDENBERG.S, ; SILVA.R, ; KOH, I. H. J. ou Ivan HJK ou Koh IHJ. Effect of irradiation on bacterial translocation in rat small bowel graft. Transplantation Proceedings. v. Transplantation Proceedings, p. 2675, 1996. BAKONYI-NETO.A, ; GOLDENBERG.S, ; KOH, I. H. J. ou Ivan HJK ou Koh IHJ. Effect of cyclosporin A on serum glucose and insulin metabolism in rats. Transplantation Proceedings. v. Transplantation Proceedings, p. 2568-2569, 1996. GUATELLI.R, ; KOH, I. H. J. ou Ivan HJK ou Koh IHJ ; BAKONYI-NETO.A, ; GALLUPO.M, ; GOLDENBERG.S, ; BARONE.B,. Effect of cyclosporin A on the healing process of ileal anastomosis in rats. Transplantation Proceedings. v. Transplantation Proceedings, p. 2589, 1996. KIM.H, ; PESSUTO.J, ; KOH, I. H. J. ou Ivan HJK ou Koh IHJ ; GRIGGIO.M, ; LUZ.J,. Consumo de oxigênio em diferentes linhagens de ratos. Medicina e Cultura. v. Medicina e Cultura, p. 46-52, 1996. PESSUTO.J, ; KIM.H, ; SILVA.R, ; KOH, I. H. J. ou Ivan HJK ou Koh IHJ. Modelo in vivo para translocação bacteriana.Estudo experimental em ratos. Medicina e Cultura. 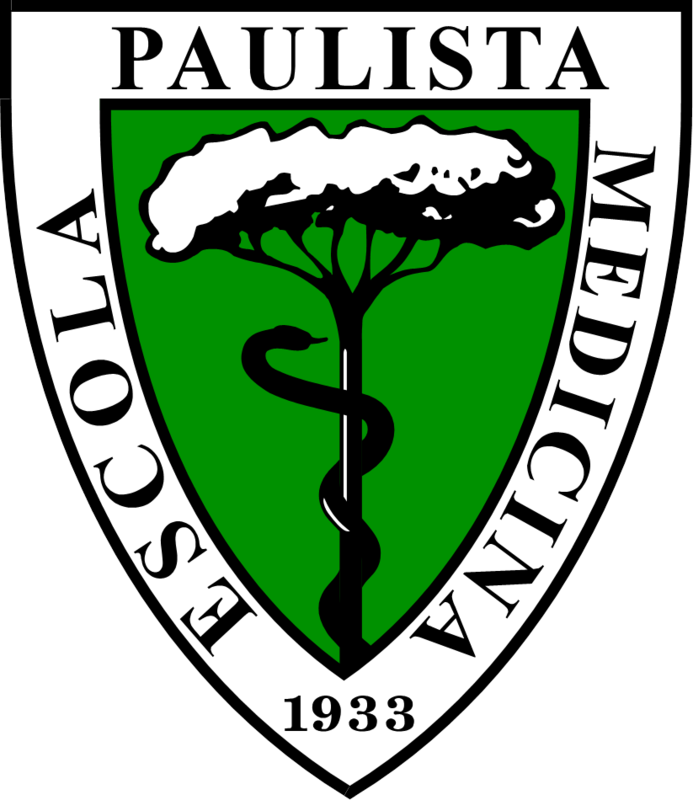 v. Medicina e Cultura, p. 84-88, 1996. MONTERO, E. F. S. ; SILVA, R. M. ; KELLER, R. ; PESSUTO, J. ; KIM, H. C. ; GOLDENBERG, S. ; KOH, I. H. J. ou Ivan HJK ou Koh IHJ. The Role of Cyclosporin A (CsA) in Bacterial Translocation. Transplantation Proceedings. v. Transplantation Proceedings (5) , p. 2676, 1996. KOH, I. H. J. ou Ivan HJK ou Koh IHJ; MONTERO.E, ; KELLER.R, ; GOLDENBERG.S, ; SILVA.R,. Concentração bacteriana versus translocação bacteriana. Estudo experimental em ratos. Colégio Brasileiro de Cirurgiões. v. Colégio Brasileiro de Cirurgiões, p. 38-39, 1995. KOH, I. H. J. ou Ivan HJK ou Koh IHJ; MONTERO.E, ; BAKONYI-NETO.A, ; GOLDENBERG.S, ; SILVA.R,. Translocação bacteriana pela via linfática.Estudo experimental em ratos. Colégio Brasileiro de Cirurgiões. v. Colégio Brasileiro de Cirurgiões, p. 40-42, 1995. KOH, I. H. J. ou Ivan HJK ou Koh IHJ; MONTERO.E, ; GUATELLI.R, ; GOLDENBERG.S, ; SILVA.R,. Estudo comparativo da translocação bacteriana entre intestino delgado e colon em ratos. Colégio Brasileiro de Cirurgiões. v. Colégio Brasileiro de Cirurgiões, p. 30-32, 1995. BAKONYI-NETO.A, ; DIB.S, ; KOH, I. H. J. ou Ivan HJK ou Koh IHJ ; FERREIRA.R, ; HAAPLAINEN.E, ; GOLDENBERG.S,. Efeito da ciclosporina A sobre a fun;cão das células beta pancreáticas. Colégio Brasileiro de Cirurgiões. v. Colégio Brasileiro de Cirurgiões, p. 30-32, 1995. CARICATI-NETO.A, ; PUPO.A, ; WANDERLEY.A, ; NUNEZ-VERGUERA.M, ; KOH, I. H. J. ou Ivan HJK ou Koh IHJ ; JURKIEWICZ.N, ; JURKIEWICZ.A,. Role of ephitelium in the release of contractil response agents from the rat vas deferens by clonidine. Annals of the Nex York Academy of Sciences. v. Annals of the Nex York Academy of Sciences, p. 436-439, 1995. MONTERO.E, ; TAKAHASHI.H, ; BARBIERI.C, ; STRAUS.A, ; GIORGIO.S, ; SILVA.M, ; SATO.H, ; GOLDENBERG.S, ; KOH, I. H. J. ou Ivan HJK ou Koh IHJ. Immunomodulatory effects of glycosphingolipids (GSLs) on lymphoproliferation and IL-2 production in rodents. Transplantation Proceedings. v. Transplantation Proceedings, p. 1597-1598, 1994. KOH, I. H. J. ou Ivan HJK ou Koh IHJ; TAHA.M, ; SMAILI.S, ; FERREIRA.R, ; ANDRADE.P, ; GOLDENBERG.S, ; JURKIEWICZ.A,. Evaluation of intestinal mucosa barrier using a pharmacological fuctional approach. Transplantation Proceedings. v. Transplantation Proceedings, p. 1663-1664, 1994. BAKONYI-NETO.A, ; KOH, I. H. J. ou Ivan HJK ou Koh IHJ ; SILVA.M, ; GOLDENBERG.S,. The validity of maltose absorption in the heterotopic small bowel transplant model. Transplantation Proceedings. v. Transplantation Proceedings, p. 1670-1672, 1994. TAHA.M, ; KOH, I. H. J. ou Ivan HJK ou Koh IHJ ; SMAILI.S, ; ANDRADE.P, ; FERREIRA.R, ; GOLDENBERG.S, ; JURKIEWICZ.A,. Use of functional pharmacological monitor on small bowel transplantation. Transplantation Proceedings. v. Transplantation Proceedings, p. 1489-1490, 1994. KOH, I. H. J. ou Ivan HJK ou Koh IHJ; COHEN.Z, ; LEVY.G, ; PLAPLER.H, ; GORCZYNSKI.R,. Altered cell trafficking of mesenteric lymphocytes after heterotopic small bowel transplantation using venous drainage. transplantation Proceedings. v. transplantation Proceedings, p. 1210-1211, 1993. KOH, I. H. J. ou Ivan HJK ou Koh IHJ; COHEN.Z, ; LEVY.G, ; PLAPLER.H, ; WOJCIK.D, ; GORCZYNSKI.R,. Migration Patterns Of Lymphocytes Following Syngeneic Heterotopic Small Bowel Transplantation In Rodents.. Immunology Letters. v. Immunology Letters, p. 3-9, 1993. GORCZYNSKI, Reginald M. ; COHEN, Zane ; PLAPLER, H. ; LEVY, Gary ; WOJCIK, D. ; KOH, I. H. J. ou Ivan HJK ou Koh IHJ. Functional activity in host and graft lymphoid tissue of rats receiving syngeneic heterotopic small bowel transplants with portal or systemic drainage. Immunology Letters. v. Immunology Letters (3) , p. 189-194, 1993. KOH, I. H. J. ou Ivan HJK ou Koh IHJ; KIM.P, ; CHUNG.S ; WADELL.T, ; WONG.P, ; GORCZYNSKI.R, ; LEVY.G, ; COHEN.Z,. The effect of 16,16 dimethyl prostaglandin E2 therapy alone and in combination with low dose cyclosporin A on rat small intestinal transplantation. Transplantation. v. Transplantation, p. 592-598, 1992. KOH, I. H. J. ou Ivan HJK ou Koh IHJ; COHEN.Z, ; LEVY.G, ; GORCZYNSKI.R,. Altered cell trafficking in mesenteric lymphoid tissue following syngeneic heterotopic small bowel transplantation in rodents. Transplantation Proceedings. v. Transplantation Proceedings, p. 1146-1147, 1992. GORCZYNSKI.R, ; COHEN.Z, ; LEVY.G, ; KOH, I. H. J. ou Ivan HJK ou Koh IHJ. Comparison of functional activity in host and graft mesenteric lymphoid tissue of rats receiving syngeneic heterotopic SBT with portal or systemic drainage. Transplantation Proceedings. v. Transplantation Proceedings, p. 1133-1134, 1992. CHUNG.S ; KIM.P, ; KOH, I. H. J. ou Ivan HJK ou Koh IHJ ; FUNG.L, ; COHEN.Z, ; LEVY.G,. The comparative effects of cyclosporin A nd 16,16 dimethyl prostaglandin E2 on the allogenic induction of monocyte/macrophage procoagulant activity and the cytokines Macrophage procoagulant inducing factor and interleukin-2. Immunology. v. Immunology, p. 670-676, 1991. KIM.P, ; LEVY.G, ; KOH, I. H. J. ou Ivan HJK ou Koh IHJ ; COHEN.Z,. Immunologic basis of small intestinal allograft rejection. Transplantation Proceedings. v. Transplantation Proceedings, p. 830-832, 1991. KOH, I. H. J. ou Ivan HJK ou Koh IHJ; KIM.Y, ; CROTTI.P, ; STAVALE.J, ; NIGRO.A, ; GOLDENBERG.S,. Estudo comparativo de duas técnicas operatórias para o tratamento cirúrgico do apêndice vermiforme, por secção e por invaginação. Estudo compativo em coelhos. Acta Cir. Bras.. v. Acta Cir. Bras. (4) , p. 123-129, 1990. KOH, I. H. J. ou Ivan HJK ou Koh IHJ; NETO.J, ; BIJOTTI.J, ; PINUS.J,. Aderências peritoneais produzidas experimentalmente em ratos. Estudo comparativo. Acta Cirúrgica Brasileira. v. Acta Cirúrgica Brasileira (3) , p. 73-79, 1988. MAGALHAES.A, ; ANDRADE.G, ; KOH, I. H. J. ou Ivan HJK ou Koh IHJ ; SOARES.M, ; ALVES.E, ; TUBINO.P, ; SANTOS.F, ; RAICK.A,. Novo Caso de Angiostrongilose Abdominal.. REV. INST. MED. TROP.. v. REV. INST. MED. TROP. (4) , p. 252-256, 1982.